Future Proof – Protecting our digital future » Change is constant – what does this mean for records and information? 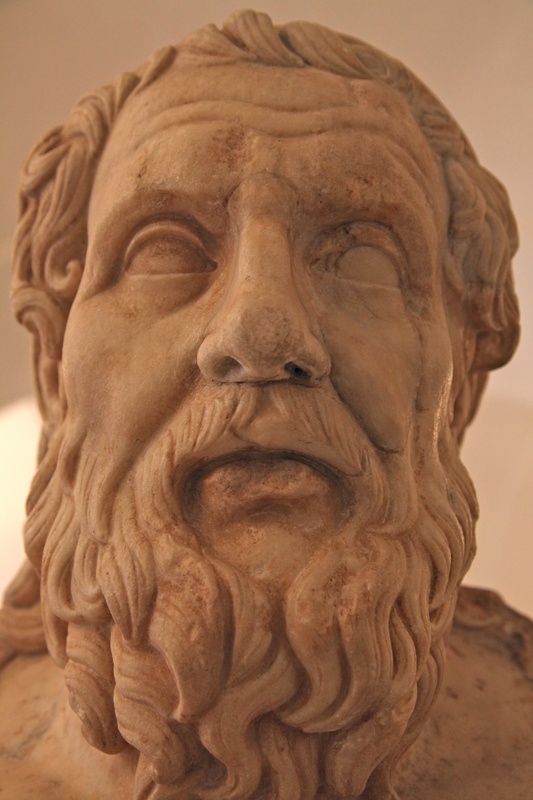 The ancient philosopher Heraclitus of Ephesus is known for his observations that change is a constant: ‘Cold things grow hot, the hot cools, the wet dries, the parched moistens’. Everything is constantly shifting, changing and becoming something other to what it was before. Heraclitus was talking about the natural world, but he could just as easily have been referring to the NSW public sector! Changes to the structure, functions and even existence of public sector organisations are a constant – amalgamations, restructures and privatisations are always occurring somewhere. When two or more organisations are amalgamated, they may have different systems, processes and tools. They will likely also be at different levels of information management maturity, particularly in relation to digital recordkeeping. It may be that one organisation is a relatively sophisticated user of digital systems, with established digital workflows and practices for managing transactions, while the other organisation has predominantly paper-based processes. One organisation may have significantly configured their systems, with specific content types and rules to manage records and information, while the other organisation may still manage these manually. One of the members of the group described the experiences of their organisation, which was merged with another agency to create a single, new organisation. Both predecessor organisations used the same EDRMS, but in different ways and using different settings and configuration options. The EDRMS was more firmly established in one of the predecessor organisations (it was more widely used across the organisation, and had been significantly configured to meet business needs), so that organisation’s records and information management team took the lead with implementing a single EDRMS across the new organisation. Somewhat surprisingly, a number of members of the group talked about how impending organisational change was a driver to improve records and information management practices within their organisations, as management wanted to be in a strong position when the change occurred. This contrasted with the experiences of some other organisations we are aware of, that have seen their efforts to improve records and information management paralysed because of possible future organisational change. One member of the group described how talking to employees and working with them through the change was one of the most challenging, yet important, aspects of their organisation’s amalgamation. Some employees were very comfortable with their existing practices and processes, and did not understand the rationale for changing. It was important to avoid creating an ‘us vs them’ scenario where employees from one predecessor organisation felt that their practices and processes were being judged as inferior to those established within the other predecessor organisation. This member explained that their team spent considerable time talking with employees across the two organisations about how different teams worked and used systems before making decisions about which processes, practices and systems to keep for the new organisation. Amalgamations, restructures and privatisations often result in employees leaving the organisation, as positions are rationalised. The loss of significant numbers of employees, particularly long term employees, presents a huge risk to an organisation in terms of lost organisational knowledge. Members of the group talked about how developing and implementing a strategy for mitigating this risk should form part of any organisational change process. Members also highlighted the recordkeeping implications of significant employee turnover. When employees leave an organisation, it is important to ensure that the records and information which they have created and received during their tenure are captured into official recordkeeping systems. Some members described the procedures they have in place to facilitate this as part of standard employee exit procedures. However many acknowledged that it becomes difficult to follow these procedures when a large number of employees leave at once, as remaining employees are overwhelmed and unable to do the necessary checks. Records and information kept in systems accessible only to the departing employees, such as email messages, are particularly vulnerable to loss in these situations. Which organisation will be the ‘lead’ organisation in terms of records and information management? What existing records and information management strategies and projects are underway? Will these be continued by the new organisation? Does each organisation have a centralised or de-centralised records and information management model? What is the best model for the new organisation? What services do the records and information management teams currently offer? (e.g. training, advice, assistance, document registration, archival research, access requests (GIPAA), help desk etc.) What services will be offered in the new organisation? What existing policies and procedures for records and information management are in place? What changes to these policies and procedures are required for the new organisation? Which existing policies and procedures will be kept? What new policies and procedures need to be developed? Which employees/roles have the delegated authority to approve the disposal of records? Will these stay the same in the new organisation, or do the delegations need to be updated? What is the total number of records and information management employees (including contractors)? What are their roles, grades, qualifications and levels of experience (generally, and in terms of the systems and tools they have experience with)? What records and information management employees will be required in the new organisation to provide adequate services? Will the employees from both organisations be retained? If not, what knowledge transfer must occur, and how will this be facilitated? What training will employees require in the use of different systems/tools? What systems will be used in the future, after the amalgamation? Will these be rolled out gradually (by operating parallel systems) or using a ‘big bang’ approach? Can data in existing systems be migrated to any new systems in a way that does not affect the authoritativeness of the records? Does one or both of the organisations have any legacy systems? If so, how will these be managed? Can they be disposed of? If not, how long will they need to be maintained for? Does one or both of the organisations use an EDRMS? If so, which EDRMS and which version? If one or both of the organisations use an EDRMS, is it integrated with key transactional systems? If so, which ones? Are these integrations documented? Does one or both of the organisations use a business classification scheme (BCS)? How might multiple BCSs be combined/used together? Does one or both of the organisations have a retention and disposal authority covering some/all of their functions and activities? What activities will the new organisation need to undertake in order to ensure that it has comprehensive disposal coverage? What functions and activities will the new organisation perform? How do these differ to the functions and activities performed by the predecessor organisations? Will any current functions/activities no longer be performed by the new organisation? If so, what records can be moved to offsite storage/transferred as State archives? What types and quantities of digital records does each organisation hold? What control systems are used to manage digital records? Can the metadata for digital records be exported from current control systems into a single system for the new organisation? If so, how will this be managed? Have records been sentenced for disposal? Are there any sentencing or disposal projects currently underway? Has disposal been carried out regularly? If not, why not? What records are due for disposal? Can these be disposed of before the merger? What records are able to be transferred as State archives? When and how will they be transferred? What records documenting the predecessor organisations’ websites need to be captured and managed? What types and quantities of paper records does each organisation hold? How recently were file audits conducted? Where are these records stored? (onsite? offsite? multiple locations?) Where will these be stored after the amalgamation, and is there enough space? What commercial storage providers are currently used? Will all records be stored with one provider, or will separate arrangements continue? What control systems are used to manage paper records? (e.g. EDRMS) Can the metadata for paper records be exported from current control systems into a single system for the new organisation? If so, how will this be managed? What records have been transferred to State Records as State archives? What access to records by employees and members of the public will be provided in the new organisation? What essential services should be prioritised to ensure there is continuous access to records during the amalgamation timeframe? What restrictions to records apply and how will these be managed/altered in the future? Are all records over 20 years old covered by access directions? We have published some advice on managing records in administrative change on State Records’ website. This advice covers a range of scenarios, including the transfer or abolition of functions, and amalgamations. Queensland State Archives has published an extensive suite of advice relating to machinery of government changes. This includes checklists and sample documents/templates (including sample clauses for agreements). The State Records Office of Western Australian has published some advice on managing records during administrative change events. Information Enterprises Australia, a records and information management consultancy firm, has published a bulletin on amalgamations, mergers, takeovers, splits and closures. Condar Consulting Inc., a Canadian information and records management consulting company, has published an article on the records management challenges of amalgamation.